Too cute to pass up. 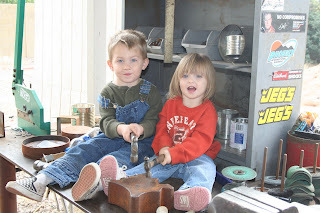 My two kids "helping daddy" in the shop. They love to sit on my table while I am working. I love it too.